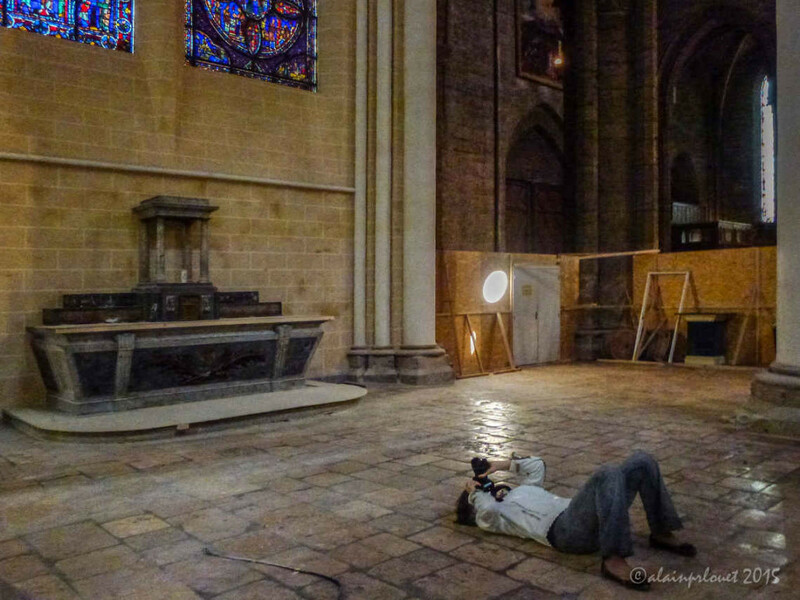 Photographing the cathedral is one of the joys of my life. Here are a few thoughts and suggestions I would like to share. Ask someone to take a photo of you as soon after you arrive in Chartres as possible. Right before leaving, ask someone to take a photo of you. Later, compare the two. Reflect on what you notice. 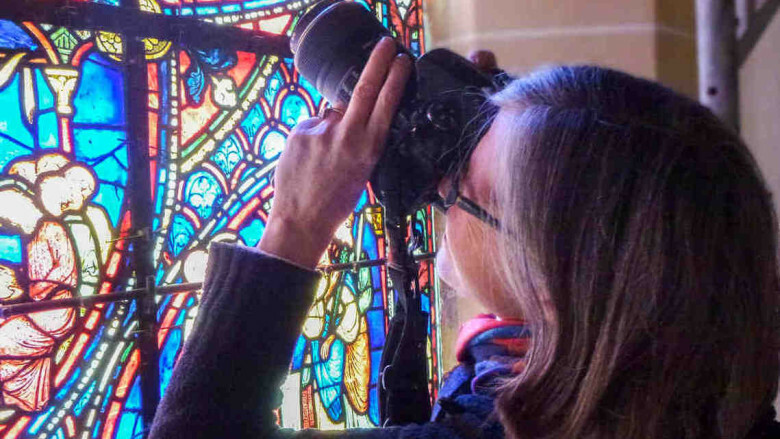 Come back soon to learn more about photographing the cathedral and see Jill’s images.